In an effort to maintain senior independence and avoid stressful changes in daily lifestyle, ASSIST@HOME Quality Care can enhance the quality of life by matching compassionate caregivers to specific needs. ASSIST@HOME Quality Care serves clients in most of Waukesha & Milwaukee counties. We are the best agency to serve the unique needs and lifestyles of the Waukesha & Milwaukee area of Southeastern Wisconsin. We are a team of compassionate caregivers and problem solvers! Our services can be arranged for as little as two hours or as many as 24 hours a day. Caregivers are available seven days a week, including holidays. 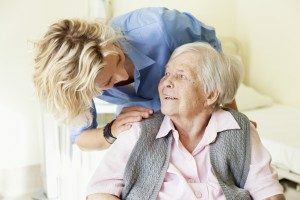 Clients receive one-on-one, non-medical services from the highest standards of quality caregivers. In order to achieve the utmost compatibility, we provide a no-cost assessment. This meeting can be in your home, during a hospital stay or prior to a rehabilitation discharge. Caregivers are at the heart of our service. We hire only compassionate, experienced caregivers and then train them to meet our standard of care. Each caregiver must complete an extensive application process, pass our background check and clear the screening process. Our staff includes Certified Nursing Assistants (CNA) and companion homemakers. We have developed a program of ongoing training and recognition for our outstanding caregivers. As the Employer of Record, we pay ALL wages, taxes and workers compensation insurance. All caregivers are bonded and insured. We encourage the development of the client-caregiver relationship through consistent caregiver scheduling. 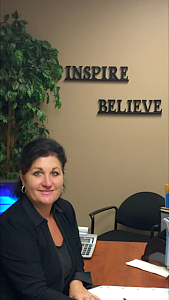 ASSIST@HOME Quality Care was established in 2006 by Paula Ockwood.